I wanted to wish you all a HAPPY VALENTINE'S DAY! I hope you all have something nice planned for Valentine's Day this year. 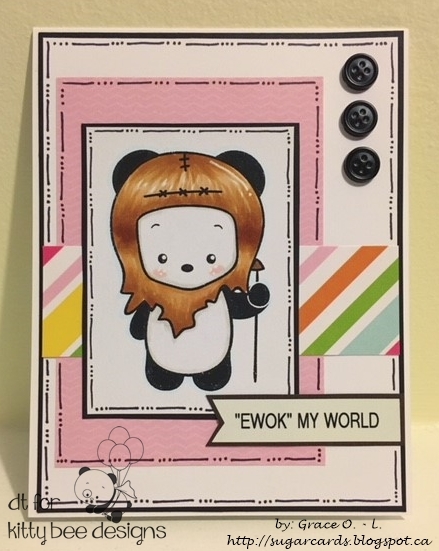 As you all know from my previous Spotlight card, I'm such a huge Star Wars fan (because of my dad hehe). This Digital Stamp is just so adorable! Cuteness Overlaod!